HAPPY 1ST BIRTHDAY, JAMES ROANE CASHIN! CONGRATULATIONS CHESTER "BOBO" BARNETT: 2010 Inductee in the International Clown Hall of Fame tonight! 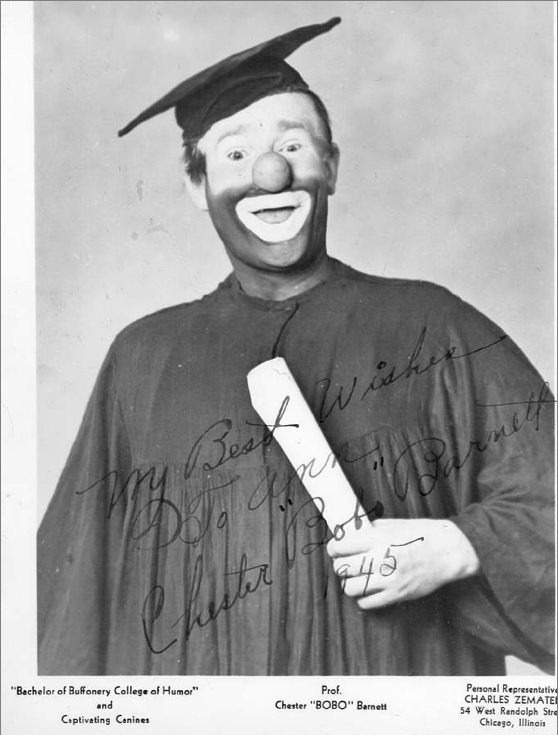 Throughout my career as a circus clown, I always ask any of the older performers that I've worked with the same question, “Who is the best circus clown that you've ever seen?” The two names that answer that question most often are Otto Griebling and Bobo Barnett. People who've worked with your father describe his act in the hushed and reverent tones that jazz musicians use to describe Miles Davis or Charlie Parker, that sportswriters use to describe Babe Ruth or Michael Jordan, that comics use to describe George Carlin or Richard Pryor. Their eyes take on a far away look as they fondly remember the details of the act: the car, the dogs, the table and the trumpet. Despite the fact that your father retired decades ago, the memory of seeing your dad in the ring still stands out clearly for so many of them. It has been a genuine pleasure to get to know you and your father, first through your writing and later by meeting you and your daughter, Christiana at the Book Expo at the Javitz Center in New York when you did me the great honor of allowing me to portray Bobo in helping to promote your wonderful book. 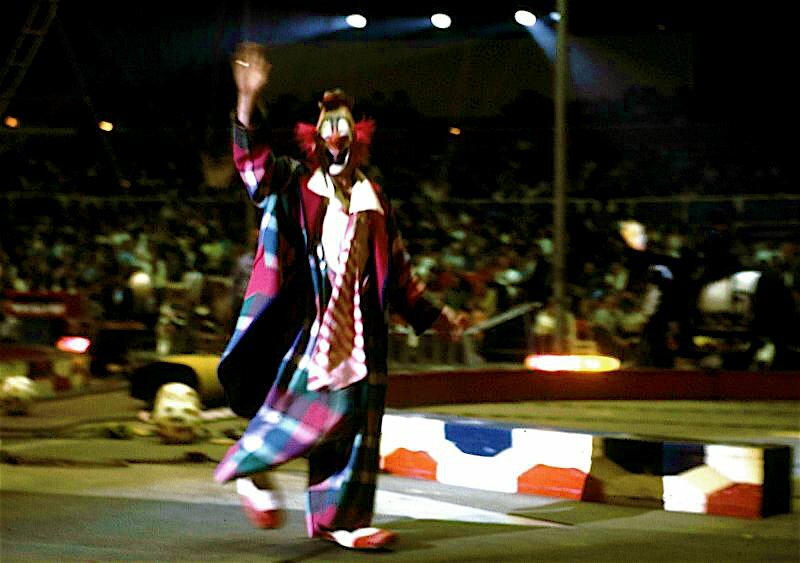 The films that you've shared on your website are an invaluable document of a very gifted and dedicated artist and an inspiration to all who love clowns and clowning. Bobo earned his place in the Hall of Fame a long time ago and we're all extremely happy to finally welcome him here to take his place among the pantheon of the very best in the profession. For more information on tonight's ceremony please click here. Tomorrow will be Jamie's 1st birthday. If you've enjoyed clownalley.net over the last year, please consider taking the time this weekend to donate blood at your local blood bank, donate your change to the Ronald McDonald House at your local McDonald's restaurant or make a donation to Children's Hospital of Philadelphia. 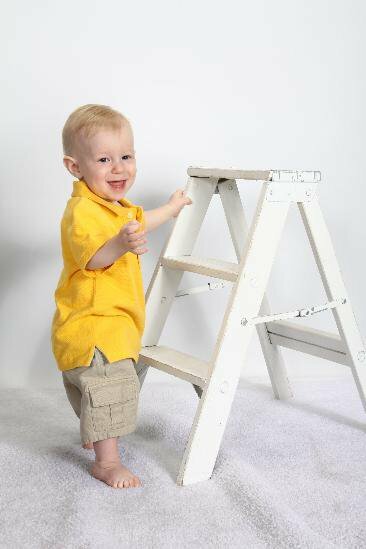 At one year old, Jamie is a happy, healthy fan of Sesame Street, Yo Gabba Gabba, Oobie, Rolie Polie Olie, Oswald, Jojo's Circus, Mickey Mouse Clubhouse and The Cat In the Hat Knows a Lot About That. As much as he enjoys those shows, they don't hold a candle to what REALLY makes him laugh. Jamie thinks that his dog Honeybear and his big brother Shane are just about the funniest things in the whole wide world. "Beauty feeds the soul, wakens it, and brings it to life as nothing else can. Beauty is a deep-seated reaction to some meaningful and stunning presentation of life. It stops you and gives you an instant promise of pleasure. But if you have no soul, you won't even see the beautiful in the thick layers of your practicality and in the density of your own ego. All your senses and your full imagination have to be alert when beauty makes its appearance. " This came along at the perfect moment to make my day.